Our family summer holidays 2017 took place in Scandinavia. 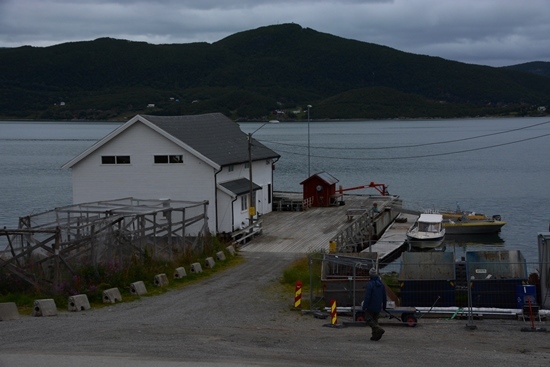 We took the ferry from Germany to Helsinki and then through Finland into Northern Norway. And back south through Sweden again. 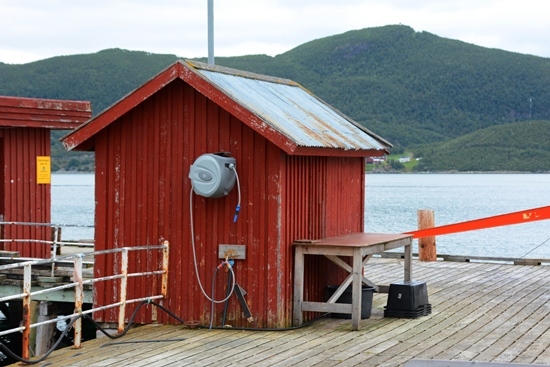 During the part in Northern Norway I had the opportunity to fish one day with my son at Nyvoll Brygge, a nice fishing camp one hour north of the city of Alta. Nyvoll Brygge lies at the border of the Korsfjorden. 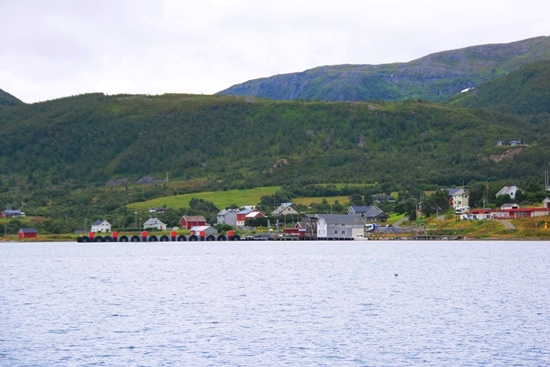 There is a crossing of different fjords with the main fjord, the Altafjord. Together they form a massive amount of water and of course: fishing opportunities! Plus the bonus that almost at every condition of weather there is an opportunity to fish. Nyvoll Brygge offers appartments together with boats (more of that later). 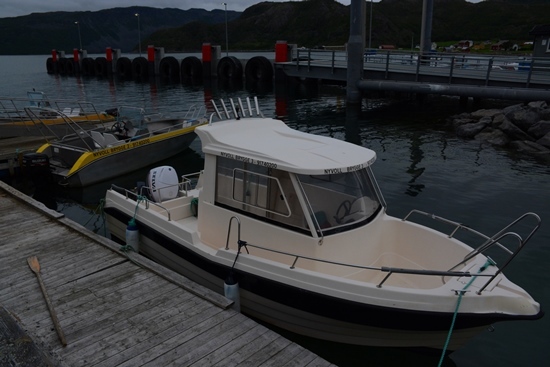 We were fishing in the 20feet Kvaerno with 90hp Suzuki and fishfinder/GPS Garmin setup. A convenient and safe combi for these waters. 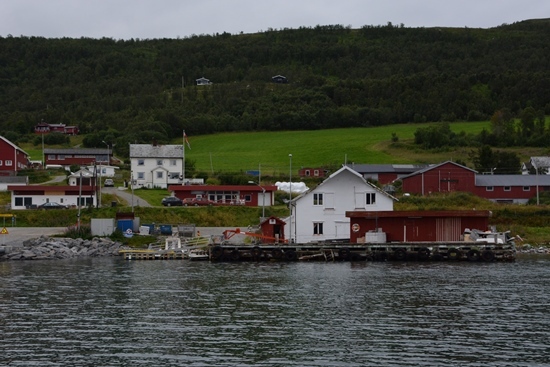 After we were picked up by Monica Holten (owner of Nyvoll Brygge with her husband) in Alta we were brought to the boat and could soon start to fish. 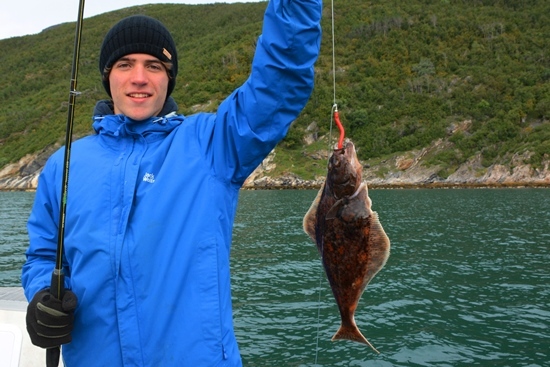 Jelle and I decided to aim primarily for halibut as we were told these waters are prime area for this fish. And they come into good sizes too! We studied the area, also supported by a map provided by Nyvoll Brygge, and soon found different spots where we would try our luck. What struck me is the amount of underwater variance in depth throughout the fjord. Deep waters are followed by shallow structures! Even in the middle (!) of the Altafjord we found a plateau of only 10meters deep. 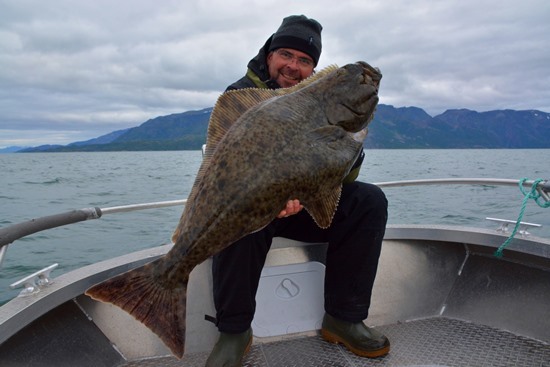 “Halibut-prime-area” for sure! As we had only one day we decided to change techniques quickly and use both natural bait and lures. For natural bait I used a fireball construction to present the whole (small) colefish, for lures we used pilker and shads. Shads were the well known Savage Gear cutbaits and Savage Gear sandeels. And we would add some pieces of fish to the hooks to create some extra attractivity. 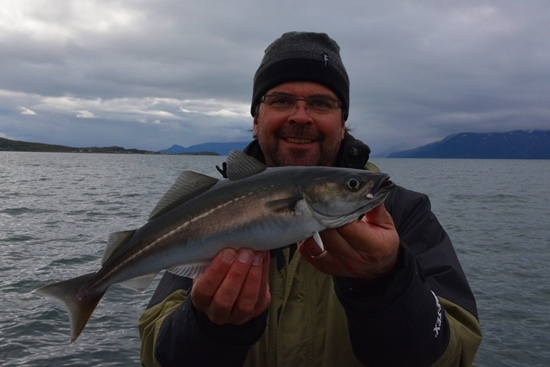 The natural bait was easy to catch as in summertime everywhere in the fjord there is an abundant amount of small fish present. We caught cod, colefish and even mackerel very easily in large numbers. Jelle also kept his Gummimak teasers on the leader for more attention. Unfortunately for us the weather was not that good in the morning. Wind was picking up and a big rainshower was heading into our fjord. 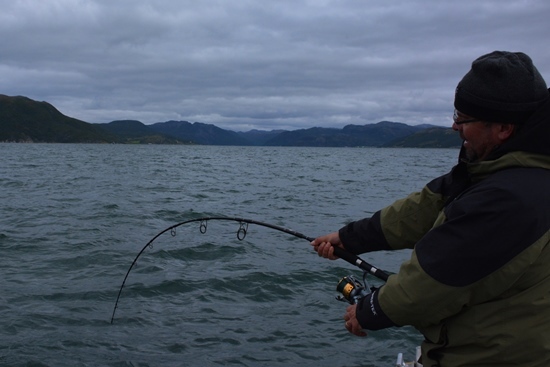 After having caught our smaller baitfish we decided to “go around the corner” into the other fjord to try our luck on a shallower part in there. And that paid off! Not only were we in the cover of the mountain nicely without wind and dry but also did we find a big amount of fish. And usually where there is smaller fish the bigger ones are also present! We drifted slowly over the plateau and it was Jelle who got the first bites. And amazingly enough, he caught a small halibut on one the teasers!! 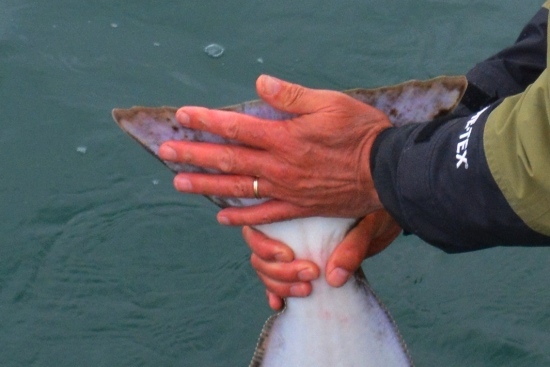 We laughed as this was a good start and with “an opportunity to improve” in terms of size and continued to fish. Soon thereafter I slowly retrieved my colefish and halfway it got stopped by something hungry….. I waited for a few seconds and stroke hard. Damn, missed it! The fish was gone and the colefish was bitten into two pieces. Bad luck! But: two hits in little time, a good sign! 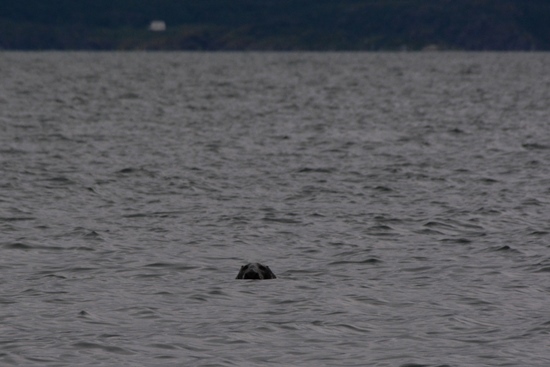 We continued to fish but apart from a few smaller fish on the teasers nothing happened any further; a seal who was watching us from a distance laughed at us! So it was time to go to the next spot. The next we tried was a plateau in the middle of the Altafjord. Very shallow water surrounded by very deep water, usually a prime spot for halibut. 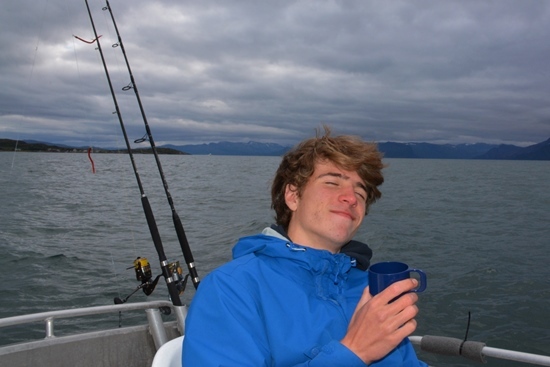 But on our way to this location we first tried some deepsea fishing on the edge of the Altafjord. Heavier pilkers down to 100-120 meters to see what would happen. Soon we were catching colefish, cod and also some smaller redperch. The redperch were too small to eat and they did not survive so we had to feed them to the birds. And here we were very lucky! 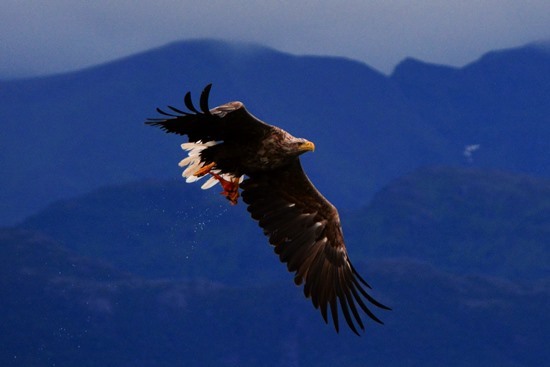 A pair of eagles flew over and started to come down rapidly for the fish. I grabbed my camara and was able to take the following pictures. I hope you can imagine we were thrilled by the sight and also by the pictures! 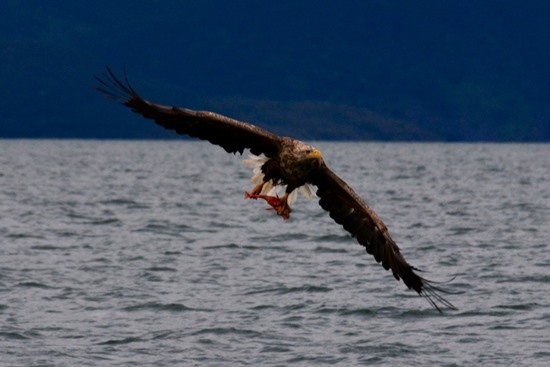 This happened only 50 metres away from the boat!! After this incredible event we continued to the plateau in the middle of the Altafjord. Here we fished for a while but it was too windy to fish precise enough and to keep the bait well positioned. We tried for about an hour but then gave up and looked on the map where we could another spot, more covered from the wind. With all the structure that was easily found and we boated in that direction. This plateau was somewhat deeper, going from 40 to 60 metres, so we put a heavier pilker on and “decorated” it with pieces of fish and also the bleeding head of the smallest colefish. 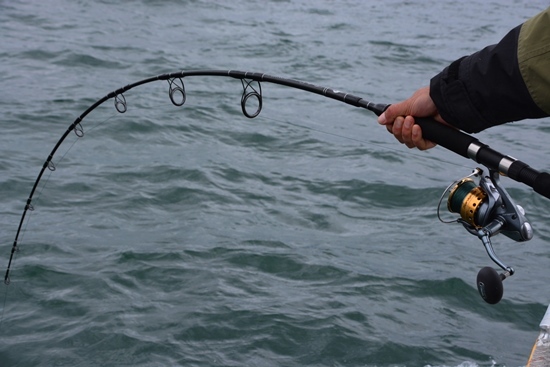 The drift was nice, slow and steady, and the baits were slowly lifted and put down again, a few metres above the bottom. I think we were 15 min into this drift when again I had something making my lure feel much heavier……. I waited for a moment and then decided to strike hard! And the fish was there! Immediately it raced line of my spinning reel (Shimano Saragossa 10000SW filled with Varivas nr5 (65lbs) and started to swim slowly along the bottom. I had to pull like crazy to lift it and every time I did it just swam back again. What a fantastic fight and it really put my new travel rod I bought at Basspro to the test. And it succeeded. After a few minutes I could start to lift the fish through 50 metres of water and again a few minutes later she was in the surface. What a great fish and what a fight! While Jelle continued taking pictures I lifted her into the boat. Heavy as she was I could barely hold her. We took some pictures in the front of the boat and then released her carefully into the water, waiting for her to swim away from my hands. Which she did after a little while, fantastic! Jelle and I exchanged a big high-five and then took some time to relax and enjoy the moment. What a fantastic success! New water, new locations and already success! yes! my first seizable halibut! #HAPPY! The day had gone fast and after a few more efforts we had to head back to Nyvoll Brygge. 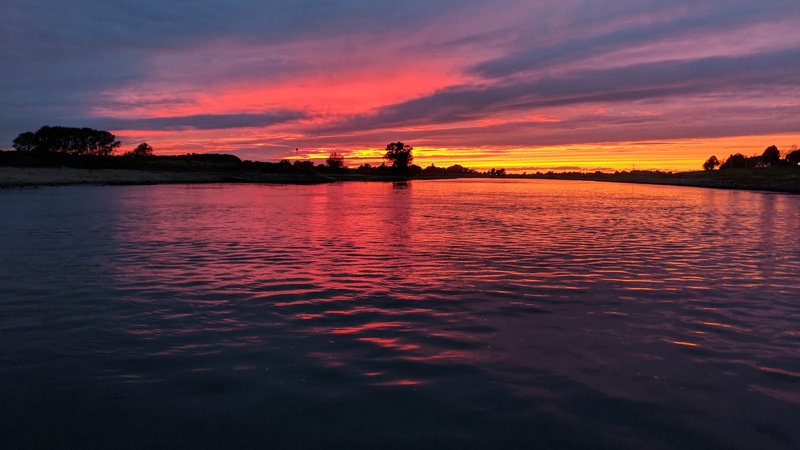 It had been a fantastic fishing day, imagine if we would be able to fish some more and add the experience of each day….. this place really holds potential! Monica was already waiting for us at the dock and after we put the stuff back into the car and took some more pictures of the location it was time to head back to Alta. What a fishing day it was! Nyvoll Brygge is run by the family Monica and Kjell Åge Holten. They operate the camp for many years now. 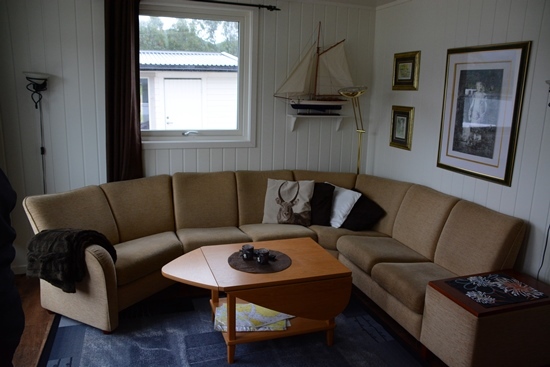 Nyvoll Brygge offers three appartments: one large one for a group up to 9 and two smaller ones for groups up to 3. 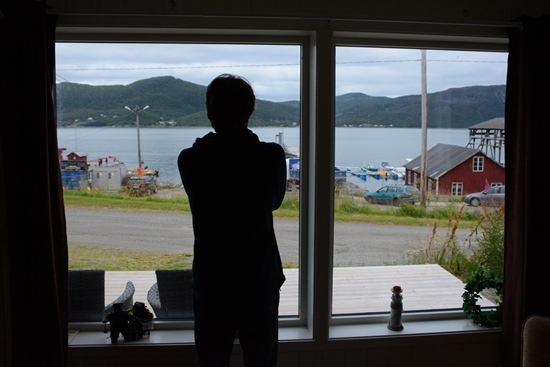 The appartments are fully equipped and all face the fjords. the peer of Nyvoll Brygge and the appartments behind it. The boats, which are just across the street, come in two different styles. The aluminum Kvaerno’s (3boats, 2 with 60hp and one with 90hp) and a fibreglass boat with a covered wheeling house. 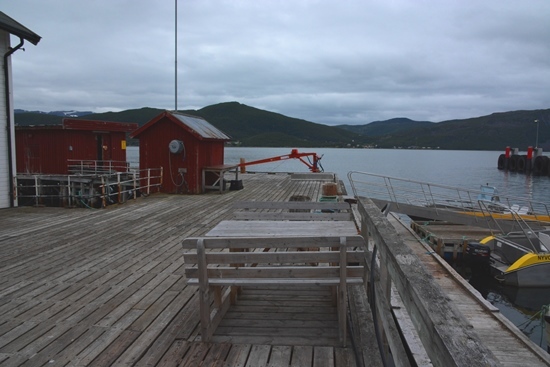 There is a cutting table on the peer together with water and fish fillets can be stored if you wish to bring some home (inform yourself on Nrwegian regulations for exporting fish!). 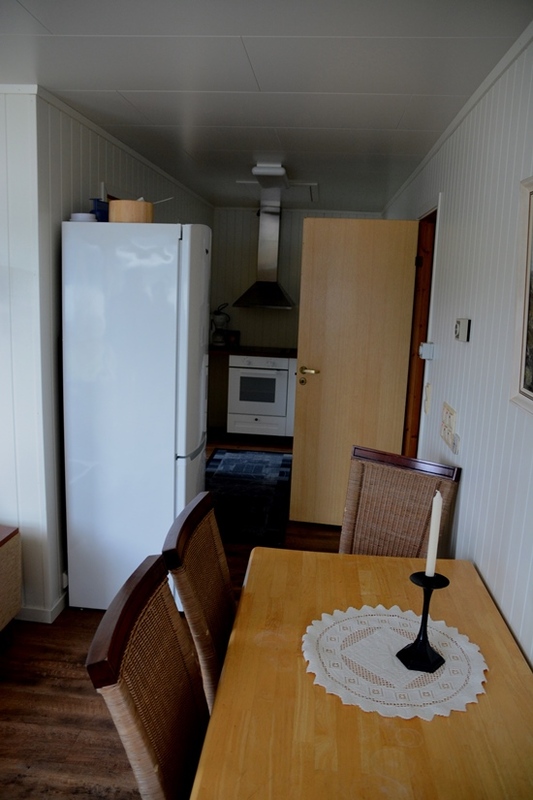 The guests can do their shopping by boat as on the other side of the fjord there is a small shop/supermarket and also petrol can be obtained over there by card payment 24/7. 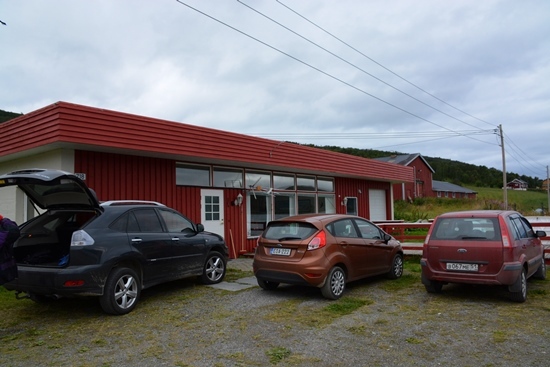 Nyvoll Brygge picks up its guests at Alta airport so you do not need a rental car per se. 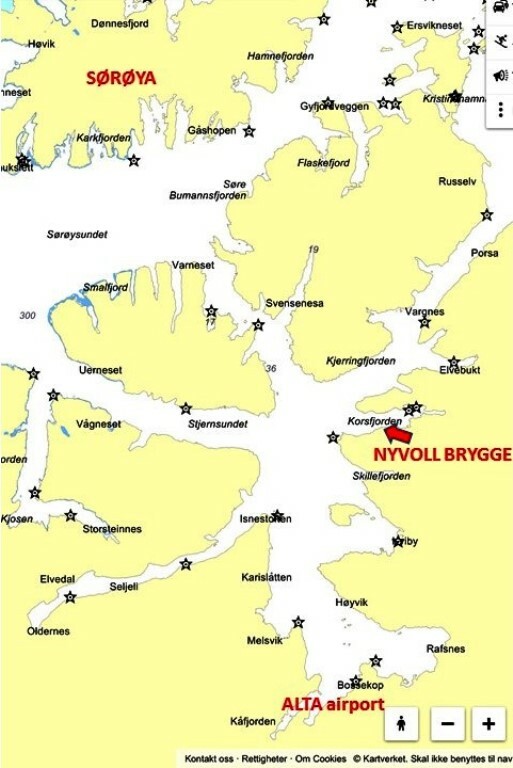 If desired Nyvoll Brygge also provides an excursion to North Cape if guests would like to experience this. 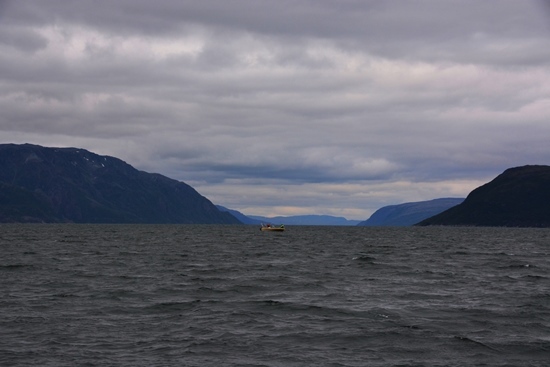 In wintertime freshwater icefishing and snowmobile trips can add to the experience (the fjord itslef does not freeze so can always be fished). This winter, the big white building on the peer will be refurbished to offer more space to the guests. 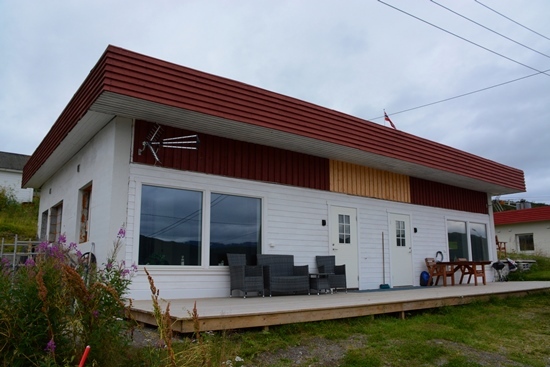 a location in the middle of the beauty of Northern Norway with rich fishing grounds, good facilities and very nice people who enjoy taking care of their customers!